Being on Greenlight for about two weeks now, and coming out of a tough and frustrating media blitz attempt, only served to confirm some of my early suspicions about the necessity of visuals to properly make a splash and be noted in the Post-Apocalyptic Candyland of Indiegamia. Though as of right now, there is really nice art coming along to INX, the imperative of beauty in marketing is still something that bugs me, though it isn’t surprising at all. 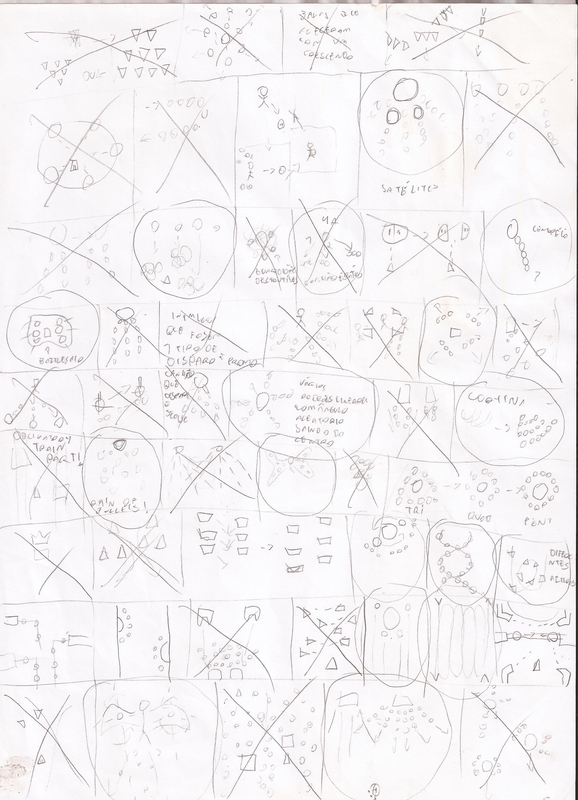 A lot of these concepts come from the very start of the development of the game; those pages, for instance, date from 2013, when the first prototype for In Extremis was made (hence the lots of random math involved). 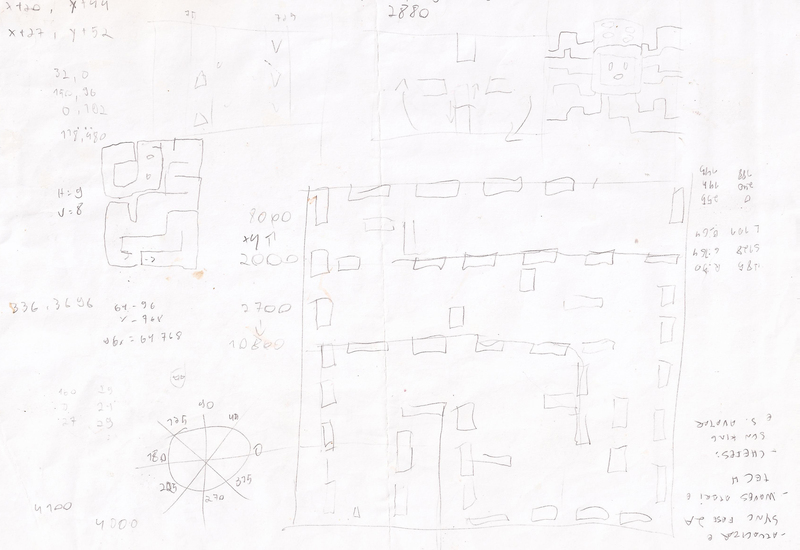 There are also some interface studies, and the first concept for the maze that concludes level 2A, the only section of the game that involved hand placing elements in a level editor. 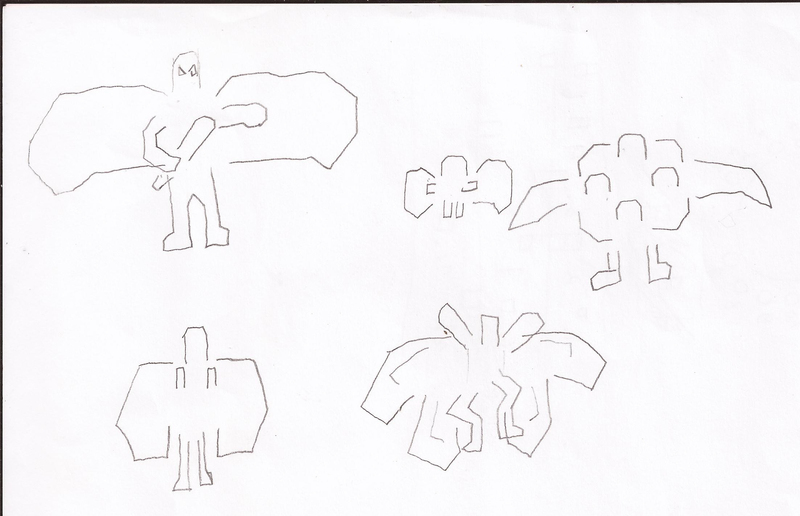 Early concepts and ideas for the bosses; early on I hadn’t had a clue on how I would visually develop them; I was innocent enough to believe that my visuals skills alone could translate those ideas in a nice way. 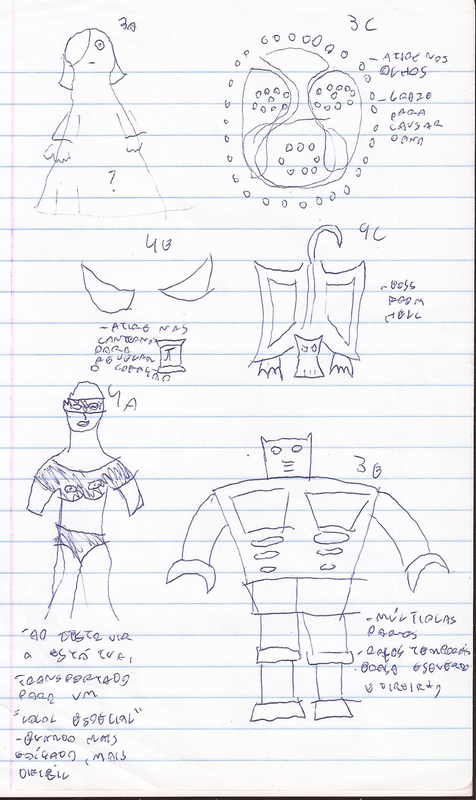 Which is why, as of right now, in the tail end of development, I’m still figuring some of their visuals details out. Videogames are organic processes, alright. 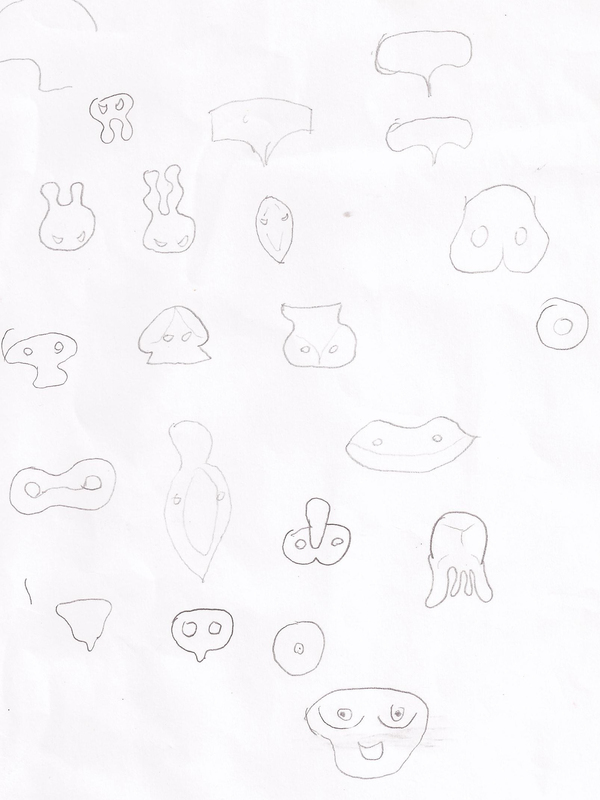 Some enemy ideas, for stages 4C, 5 and 4A, representing nightmares of war, figures of geometrical divinity, and boobies and butts. 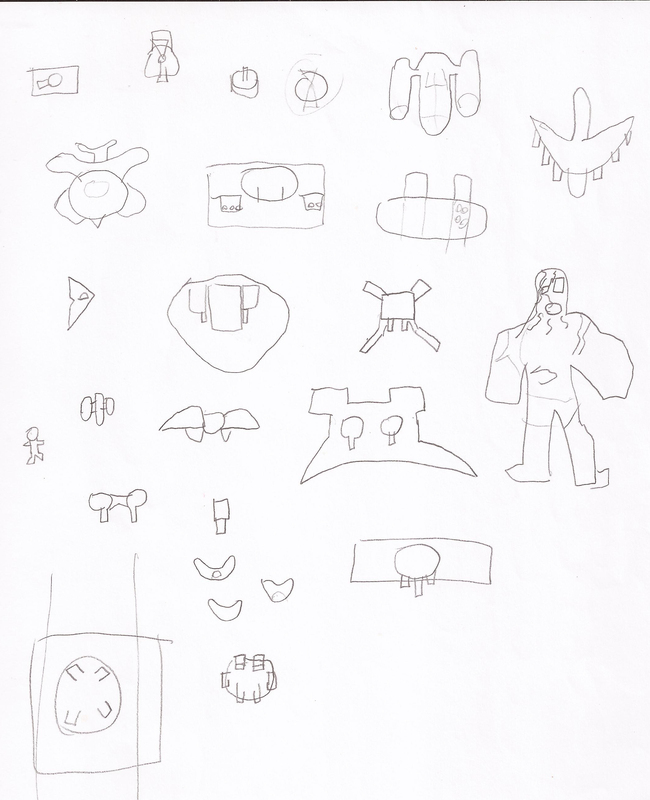 Each level was approached with less of a visual idea in mind, and more with a feeling in the gut, which is why the visual development in the game was, for a dangerously considerable amount of time, something I overlooked. 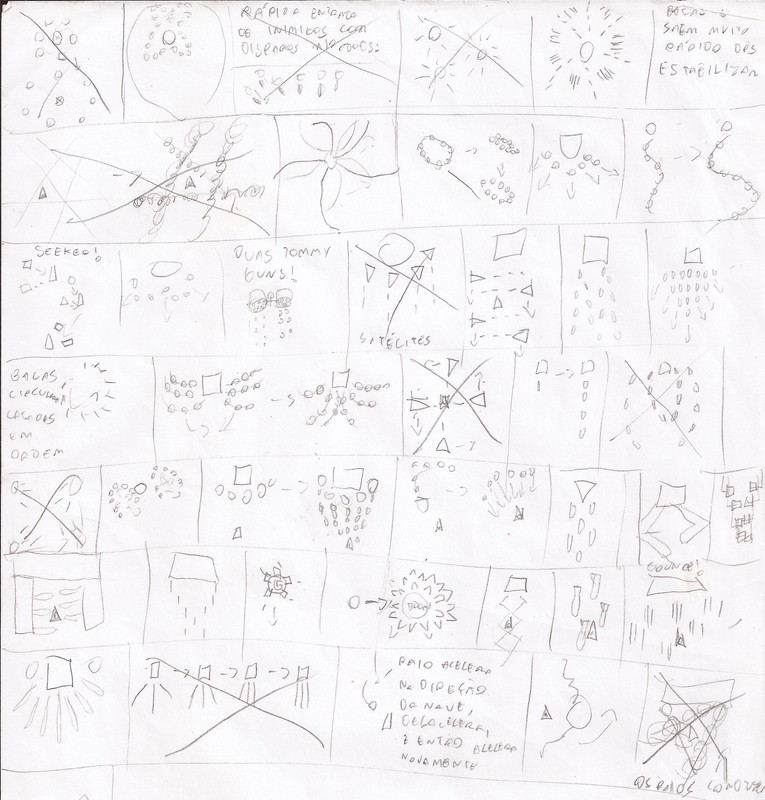 I really love these pages; when researching for the game, one thing I did a lot was to play some shmups to completion, see whatever they tried to do and then just brainstorm ideas for bullet patterns; almost all of the game’s patterns were born either of fiddling with the bullet spewing algorithms, or by trying to translate the sketches I made in my research; the ones marked with a big X where ones which I (someway or other) managed to put in the game. 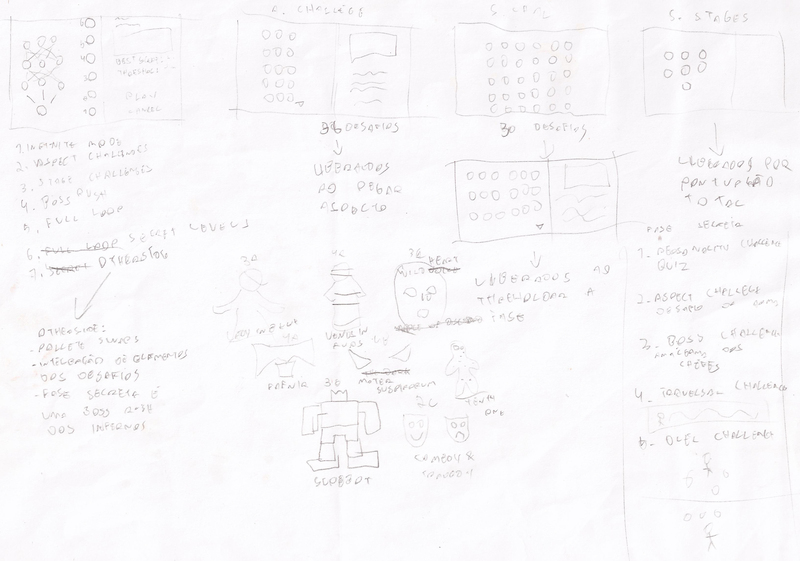 Also, sometimes I wanted to reproduce some specific bullet pattern I had seen in another game, by trying to use some reverse engineering, but as I fooled with the variables trying to get to a specific result, mor often than not I would find something much more exciting than simple mimetism.